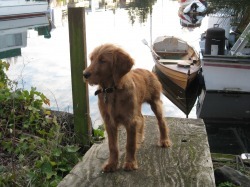 LucyDoodle - SeattleCoach! "Connection. Curiosity. Challenge." When you come by my office, in the interest of good doggie manners, please ask her to sit for a moment before you say hello.